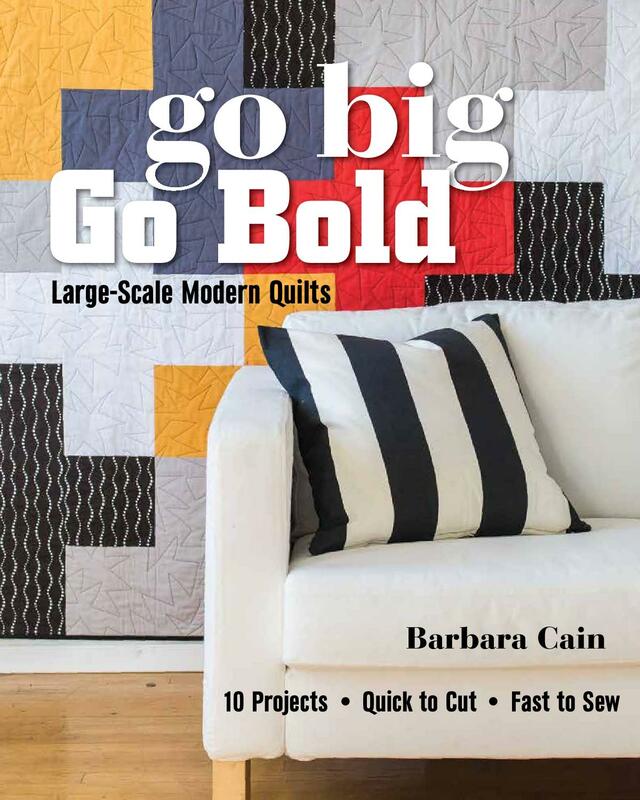 Modern Quilting by B: Lemonade anyone? 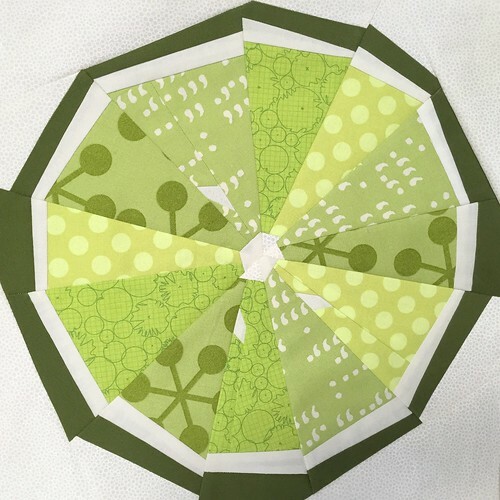 I can't wait for the warmer weather; hard to believe it has been six months since we've sat on the deck sipping lemonade! 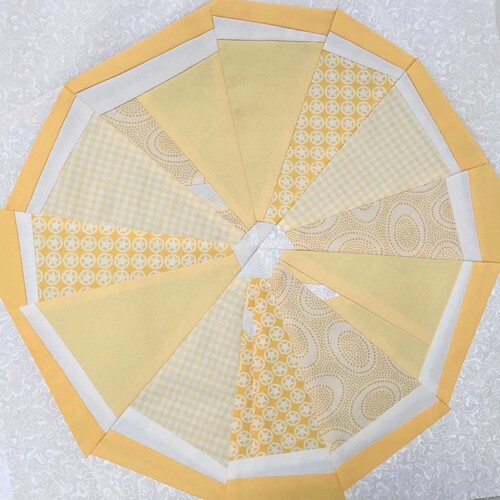 I'm almost ready for it, all I have to do now is quilt and bind my lemon slice table topper. Perhaps we'll have breakfast on the deck as well and enjoy some fresh squeezed orange juice or maybe, we'll enjoy some refreshing Mojitos in the evenings. Hmmm. I need to find a recipe for a grapefruit martini! 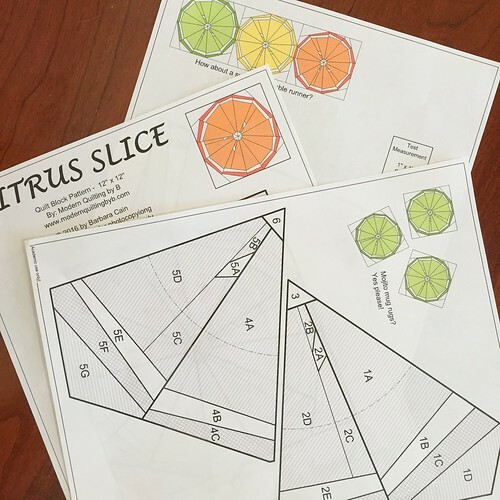 If you'd like to make a Citrus Slice, the pattern is now available! There is a link to my shop on the right. 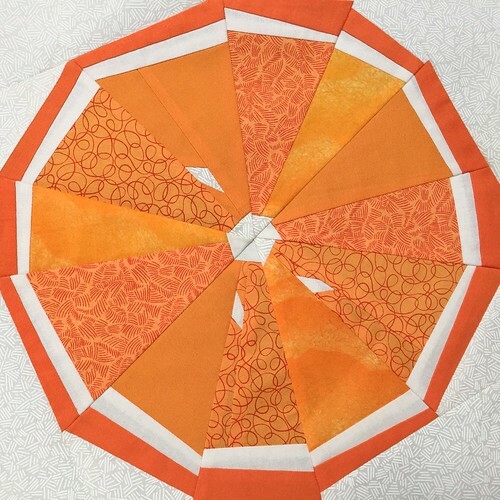 The finished block measures 12" x 12" and can be either paper pieced or traditionally pieced. Enjoy! These are so cool! 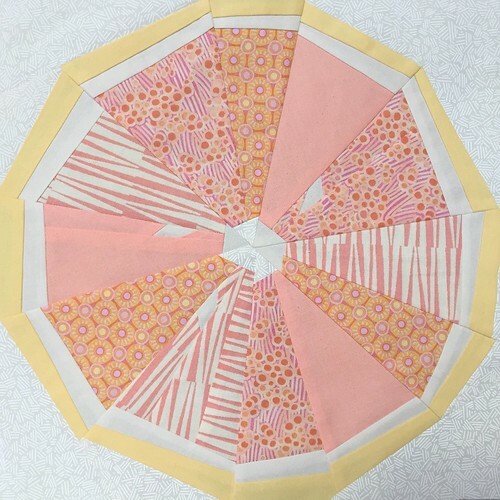 Love paper piecing, love citrus and lemonade...I'm ready!